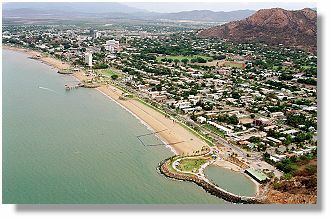 This award for Townsville's Strand beach recognises outstanding accomplishment in resource conservation and waste management. The environmental theme is also abundant in the artwork on the strand. Below is text of a plaque dedicated to the work of local artist Anne Lord. 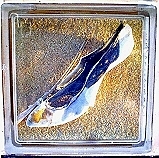 Over a period of 10 years, Anne Lord recorded common objects washed up on the Strand. Discarded items in these images may have been used by locals, visitors or even people oceans away. The artist was interested in the Strand as a well-loved recreational place with its by-products of human activity. Questions may be asked about where these objects originated and where they go. Anne Lord is a multimedia artist whose work confronts environmental degradation and paradoxically reveals the grace of nature.